I train. I race. Racing triathlons I sometimes do well, and other times I do not. Sometimes, the weather is so hot and humid, I feel like I am melting before I even started the race. What makes me survive in the heat? I know my signs of dehydration and I know how to correct it. Do you? Over the 18 years of training and racing, heat and humidity are my worst enemy. My body hates anything over 80 degrees. I severely dehydrated at Ironman USA in Lake Placid in 1999 and the temperatures there were only 72-74 degrees. So I am an expert in my own dehydration as that was a complete wake up call! And although I was doing many of the right things, I also managed to forget my extra electrolyte capsules in the hotel room since the weather was supposed to be ‘cool’. I have since learned, take extra electrolytes with you no matter what. Better to have them and not use them, then to not have and wish you had brought them. Learning your signs of dehydration and practicing preventive nutrition are the keys to training and racing in heat and humidity. Sometimes the weather is not cooperating, so we do not get time to acclimate to the heat before the actual race. 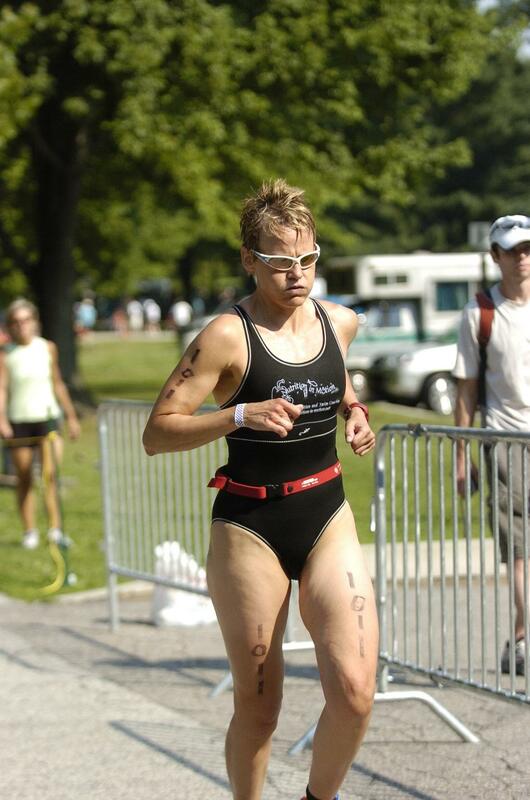 You don’t really want to walk the run portion of your triathlon do you? Learn your signs of dehydration (and what to do about it) and you won’t have to! The signs of dehydration are many, but every person experiences different signs and different combinations of these signs. Sometimes it is one big sign like muscle cramps. Other times it is GI distress/nausea or headaches. You will only know what your signs of dehydration are when you start to pay attention to the signs I am about to list. The majority of these you will not feel most likely until you are on a run. But it is prudent to start paying attention on the bike to see if any of these signs of dehydration are coming on. These are most of the signs of dehydration that I and many of my clients have experienced over the course of 18 years. My clients and I have learned to control these with extra electrolytes and healthier eating including plenty of green and dark leafy green vegetables to help replenish those electrolytes and minerals better. I eat greens and vegetables to help get leaner and help my body be more efficient at cooling (higher body fat percentage typically results in less efficient cooling). By knowing my signs of dehydration first, and learning what works for ME to prevent those signs or correct them when I do feel a sign coming on, I can train easily now in the heat and humidity. I do not feel like am having a melt down 🙂 With a Race Day Nutrition Strategy Session, we can help you address your specific needs for your upcoming race. A Race Day Nutrition Package can help with a race that is 2-3 months out. We can take the signs of dehydration out of your upcoming races. Next blog will be some examples from clients. Tis the time to start thinking about hydration needs. Dehydration can be a very serious matter – do you know what your signs of dehydration are?? This should help clarify some symptoms you may have mistook as something else. http://www.n-im.net for personalized help. We help you perform better using real food. The first symptom I look for, in a new athlete, is a red face. I get them on Endurolytes immediately! Works every time! Endurolytes are my preferred option, too! Most don’t realize they are dehydrating and confuse it with other issues. Learning what works and what your signs are helps in preventing dehydration. For both beginner and seasoned athletes! Where do you do your coaching?